Seeing as I -really- wanted a pair of lashes in this style, I got really excited when I got these (forever ago). 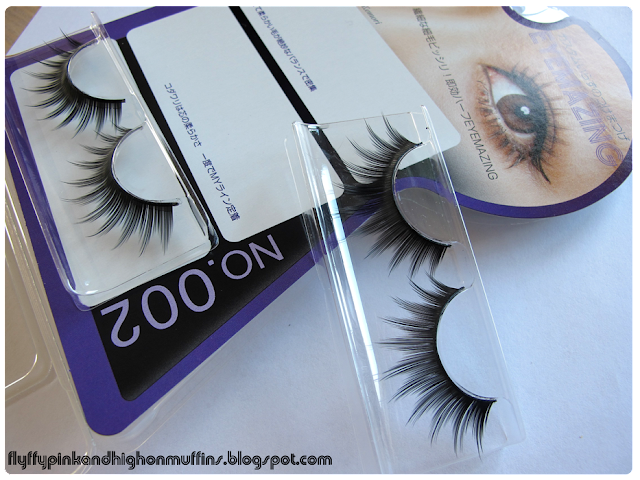 The box was nice, nothing out of the ordinary, and the lashes looked fine. A bit on the really thick side IRL but I was too pumped to notice that at first. - And a little side note here: When I opened the box I discovered that the pair had each own little holder. Quite a nifty little detail, seeing as the tray style lash boxes require you to go get a lash case unless you want to carry around 4 extra pairs with all of your makeup. They are a little too thick for my taste when applied. I do not like how the transition from my lid to my lash (the inner corner) is SO harsh. 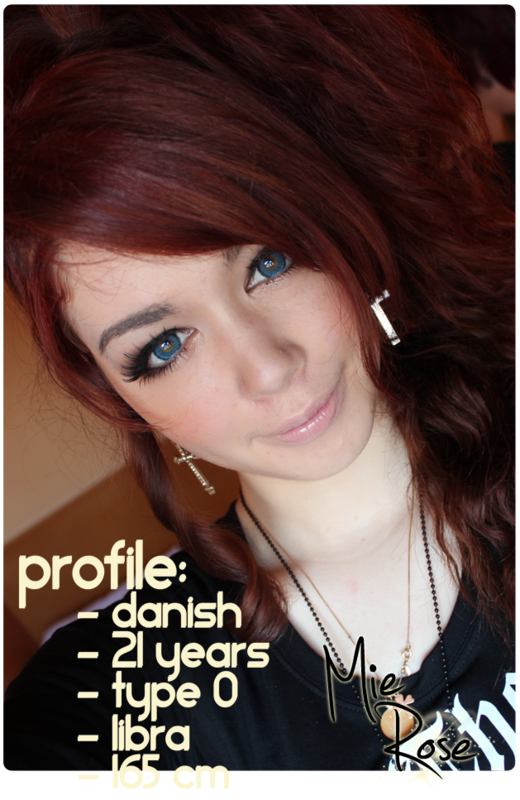 Funny enough it is not that visible in my pictures, but boy if they are not placed right, they are a pain to look at irl. 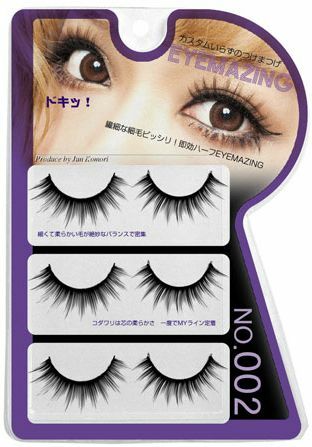 They open the eye a fair bit, and if you want a really dramatic look, these lashes will probably be really good. BUT! They are also quite heavy on the eye because they are so thick. This part is why the review was so delayed! 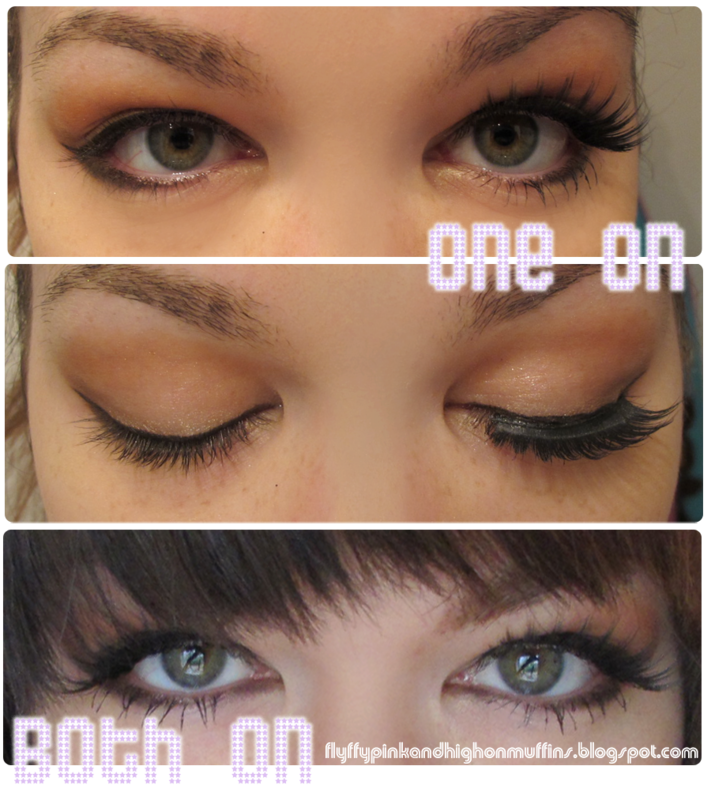 (That and cosplay+finals, seesh) They are compared to clear band lashes (which I prefer to use) really hard to apply. They are stiff and you have to fiddle around with them quite a bit to make them bend enough. They also have a really bad tendency to 'flip out' in the edges, so I would recommend you pay attention to the outer edges when applying glue - and also use a good glue, otherwise they will fly right off. They are really pretty, if you know how to use them. It is not something that looks good right out of the box like the Diamond Fairy eye did, but after they have been bent and used a couple of times they look better and fit a lot easier to the eye. 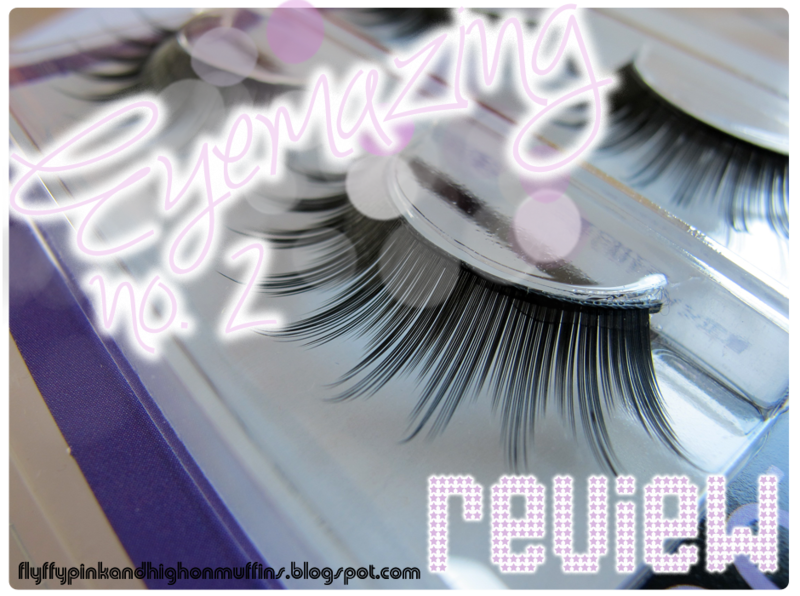 I would not recommend them for people new to the whole lash thing, but if you a experienced user and want a dramatic look, I am sure you will like these. WAE NO SEXIE PICS OF YO PRETTUH FACE HUH?! :C I ONLY SEE EYES WTH.